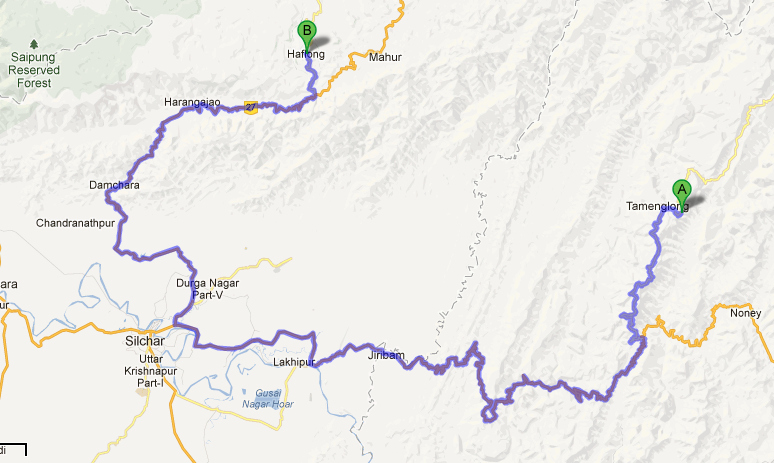 Tamenglong – Haflong Link Road gives a Ticket to a Bright Future to fellow Indians in this remote Corner of Manipur. Click here for Cost details. Watch the Great Indian Crowd Funded Road Video. This road project was initiated by Armstrong Pame, IAS who has also been nominated for the CNN-IBN Indian of the Year Award. You can vote for him here. Passed out from St Stephen’s College, New Delhi in 2005. Armstrong Pame is the sub-divisional magistrate of Tamenglong, his home district in Manipur, and the first IAS officer from the Zeme-naga tribe. 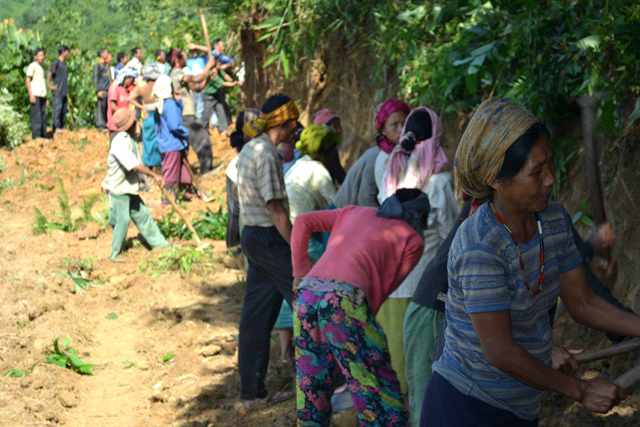 He has, of his own volition, begun the construction of the road that would link Manipur with Nagaland and Assam. The road will reach Haflong in Assam, connecting via Tamenglong – Barak River – Azuram – Makhu River – Tousem – Phoklong – Katang Nam -Chari River – Hereilua – Laisong – Mohur. 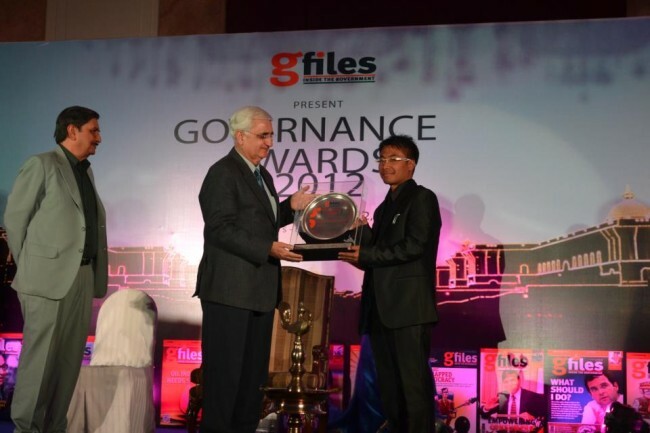 The initiative to build a 100-km motorable road involving the local community, without any government funding has been nominated for the prestigious CNN-IBN Indian Of The Year 2012 in the Public Service category. 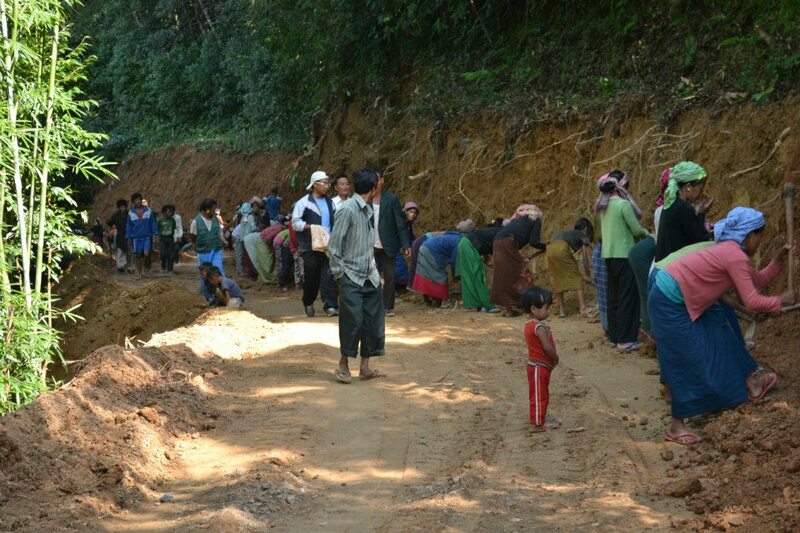 Pame began the “Tamenglong-Haflong Road” construction in August this year, but ceased midway due to monsoon rains. It resumed in September and now, only 20km left to give the villagers the “best christmas gift ever” they have been waiting for long many centuries. The road will form a tri-junction with Nagaland and Assam over the Jiri River before entering the Dima Hasao district (formerly North Cachar Hills district) of Assam. Construction began in August this year, but stopped midway due to the rains. It resumed in September, and so far, work on 70km has been completed. dear women and men…. after this road is completed your children shall go to school and bring more changes…. they shall not struggle like the way you did and still do…. many lives shall be saved… you dont have to carry sick people on bamboo stretchers any more. life shall be better. time to say “life is worth living” shall come soon…..
1 BULL DOZER 2000 P/HR. 2 JCB – already donated. Armstrong Pame IAS is the greatest example of how WE can make the area we see around us better. Added him to list the of my heroes! INAUGURATION OF THE PEOPLE’S ROAD on Feb 17, 2013. The author is a friend and batch mate of Armstrong Pame,IAS who is the main organizer of the Tamenglong – Haflong Road Project.